The IoT (Internet of Things) is one of the most popular phrases in the tech industry at the moment. The technology is rapidly expanding and so are the number of devices. 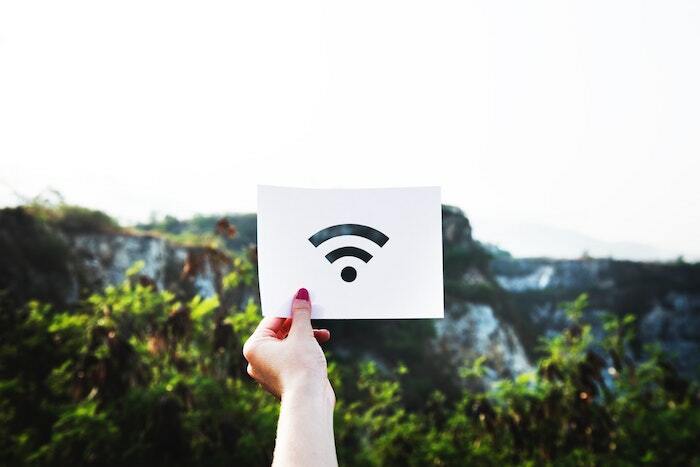 In fact, IHS Markit expects that by 2030, 125 billion devices could be connected via the IoT. So what exactly is the IoT? It’s a network of devices that are connected to each other via the internet. This allows them to communicate with each other and exchange data. The devices don’t need to be the traditional internet-enabled ones like laptops and mobiles. It’s possible to connect different home appliances to the internet as well. 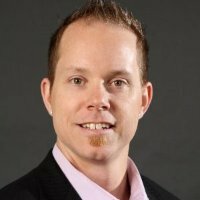 The rapid growth of the IoT is changing the marketing landscape as well. Many brands and marketers are reconsidering their strategies because of it. By incorporating the IoT, it is possible to not just improve sales but even enhance customer experience. But the IoT is not limited to the B2C segment. It can help improve customer experience in the B2B market as well. Let’s take a look at how the IoT can help you improve customer experience. B2B companies can benefit from the IoT and can enrich the customer experience by providing accurate, real-time information. It is often a hassle to track products during deliveries. Customers have to continuously wait for the product with long delivery times and delays. You can place sensors in the equipment or the vehicles carrying them. This will enable you to give real-time updates to the customers regarding the whereabouts of their products. This will make the whole transportation process hassle-free for you and your customers. It also improves the overall customer experience as they don’t have to keep calling you up for an update. There’s so much more that businesses can do using the IoT. You can place sensors on products to manage inventory levels automatically. Companies like Dynisco have been able to reduce the cost of maintaining excess inventory using an IoT inventory management system. They automated the process of automating inventory and supplier data, which resulted in a 40% reduction of active inventory across all facilities. You’ll be able to monitor the usage of your customers and send reminders to them to place new orders when necessary. This can save customers a lot of trouble. Or you can follow the lead of ThyssenKrupp Elevator in using real-time data to provide an IoT-based predictive maintenance solution. They gather real-time data from sensors and use the information to anticipate maintenance and repair needs even before a breakdown occurs. As a B2B company, strengthening your IoT infrastructure will enable you to provide better service. Platforms like Cloud Management Suite can improve your IoT management process and optimize the service you provide to your clients. Using this solution, you can patch various devices, manage inventory, remotely control inventory, and more. You can even remotely access your clients’ desktops from anywhere. With the support of Windows, Mac and Linux, you can be assured that it can be installed on all of your computers and those of your clients. The IoT allows you to collect loads of data. This data collection can help you optimize your products. You can improve the overall value of a product based on the data you get about its usage. You can use your IoT data to detect the performance of your products. Based on this, you can find potential issues and build better products. You can even use it to alert your customers about the performance and identify when maintenance may be required. This can help you optimize the operations of the product which, in turn, helps your customers. It improves their performance and also strengthens your relationships with them. For example, Rolls-Royce uses the IoT in their engines for commercial aircraft. They collect the data from their engines and use it to improvise maintenance operations. They find out about the performance of their engines and then pass on the relevant information to their customers. This helps them schedule maintenance operations on time. It also saves their customers valuable time and money and strengthens their relationships with them. You can use the IoT to enrich your communication with customers too. The sensors that your products have can feed data back to you regarding their usage patterns. You can use this data to your advantage to send across personalized communication to your customers. You can instruct your sales and marketing teams to come up with relevant, personalized messages based on the data. For instance, if a customer isn’t utilizing all of the features of your product, you could highlight other features. This email could consist of tips and methodologies for using the other features of the product. You can even use this data to find out which features of your product your customers are using the most. Based on this data, you can find out the interests of your customers. You’ll then be able to suggest other products and services to them which are on similar or complementary. This can improve customer experience as they’ll feel that your brand is taking care of their needs. Be transparent and inform them that you are using their usage data to optimize your products. Many customers will be happy as this enriches their overall experience. A great way of accomplishing this task is by using CRM software like Salesmate. Not only does it help you automate the emailing process, but it also helps improve your overall sales and relationship management. Salesmate allows you to easily capture leads from your website and assign them to your sales department. It even automatically assigns tasks and sends out follow-up emails. 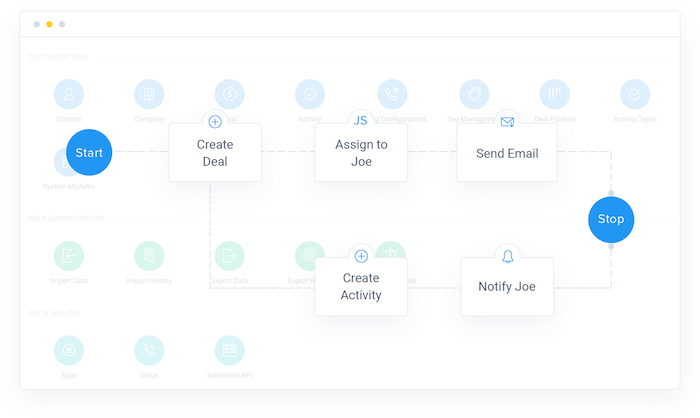 You can even create custom workflows and get valuable insights into your sales. Such features can help you deliver a customized and personalized experience to your customers. The data that you’ve gathered from the usage of your products can be used to develop new products. You can figure out what part of your products can be improved upon and then pass on this information to your product development team. For example, Cummins makes engines that have sensors in them, which feed data about their performance. They then use this data to improve their engine designs and detect any flaws in the existing designs. This way, they can further optimize the performance and reliability of their products. This helps them come up with better products. If the changes are just in the configuration, they can send the changes to the engine directly through the IoT. This ensures that the customers always have the best possible updated configurations of the product. By using the IoT to make product improvements, you can significantly improve customer satisfaction. This tremendously impacts your relationships with them. Such added services can help you retain your customers longer. Just like how you can provide real-time, accurate information in the B2B industry, you can do so in e-commerce too. You can keep your customers updated about the location of their products once they’ve ordered them. This gives them an idea of when they’ll be receiving the products at their homes. So they’ll be able to prepare for the arrival of their package by being at home or arranging for someone to receive it. You can even use it to give them personalized offers and show them customized content. Based on their habits and how they behave, you can understand their requirements better. You’ll be able to use this data of their preferences to modify your advertising campaigns. You can market your products to the customers at the exact time that they require it. These “in the moment” offers are more relevant to the customers, meaning they’re more likely to convert. This will ensure that you can get a better ROI on your marketing. You can even offer them a discount when you show them the offer. This improves the customer’s experience as well. They will be happy with your brand when they get their required product at a discounted rate. 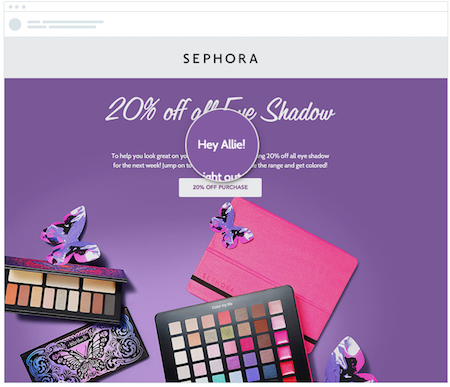 For example, Sephora uses personalized emails to drive their sales. They figure out how much time their customers take to use their products. When the product is just about to run out, they send across a personalized email with a reminder. This prompts the customer to click on the email and purchase the product. It even makes the buying process very convenient for the customer. The IoT helps you improve your relationships with customers by improving their overall experience. You can easily detect the need for maintenance, develop better products, send a personalized communication, and more. The IoT can also help e-commerce businesses to flourish and improve their sales. What are your views on the applications of the IoT? Let us know in the comments section below. And let us know if you have any questions as well. We’ll be glad to answer them for you.